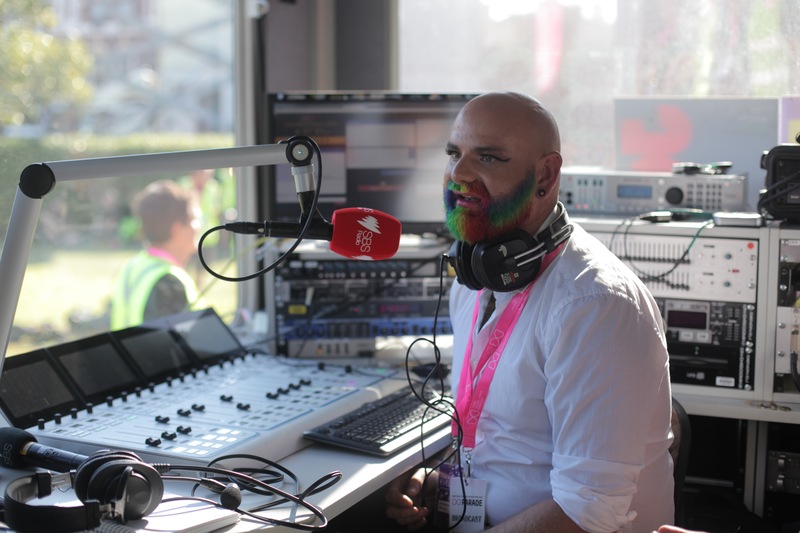 LGBTQI+ community radio station JOY 94.9 this year again joined forces with SBS Radio for a special Mardi Gras weekend broadcast. 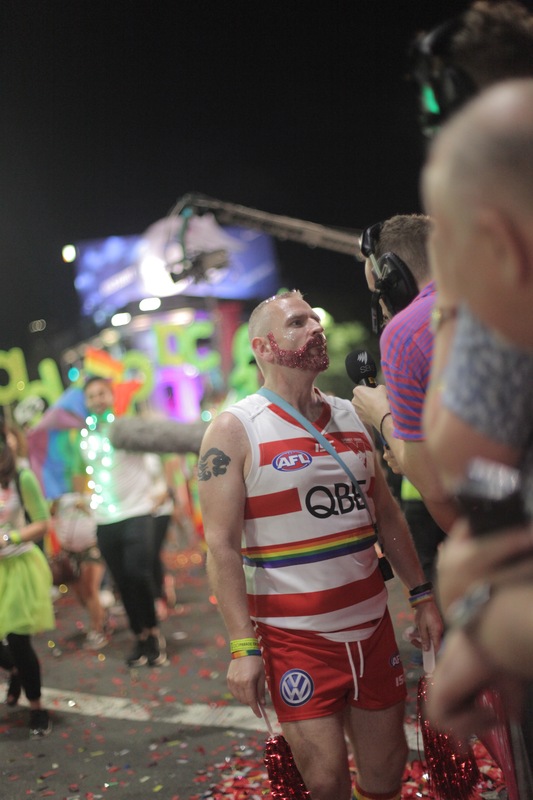 This included a live broadcast of the 40th anniversary parade of the Sydney Gay and Lesbian Mardi Gras, held on Saturday, 3 March. 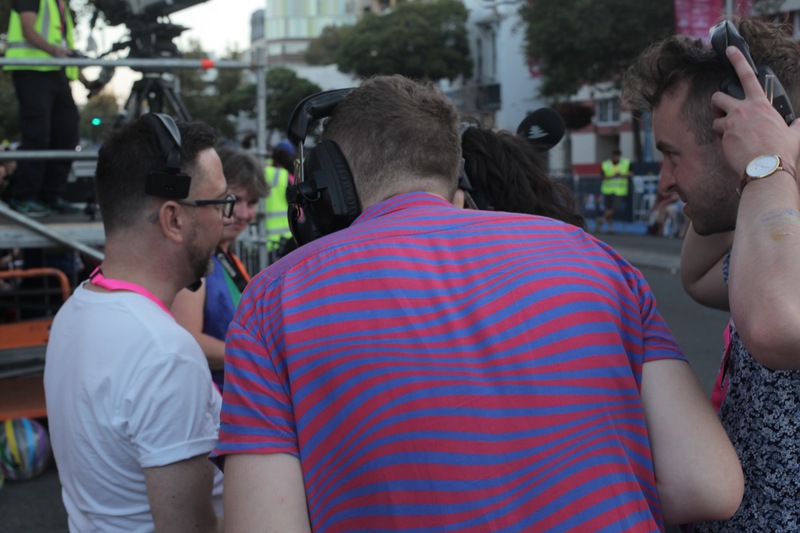 The action from Taylor Square was made available via the Community Radio Network, reaching listeners from Taree (2BOB) to those in Western Australia. CRN also distributed JOY's Mardi Gras special editions of Not My Cup Of Tea, The Gender Agenda and 21st Century Women. 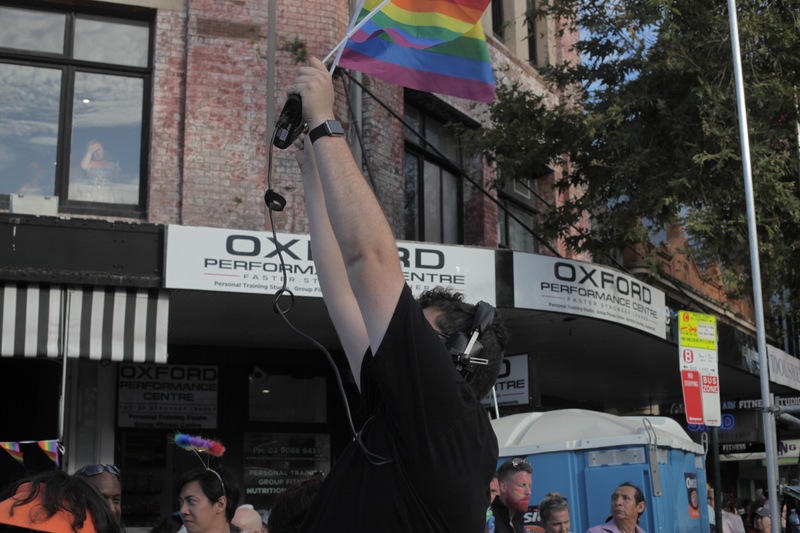 We ducked down to the parade and took some photos of the team in action. 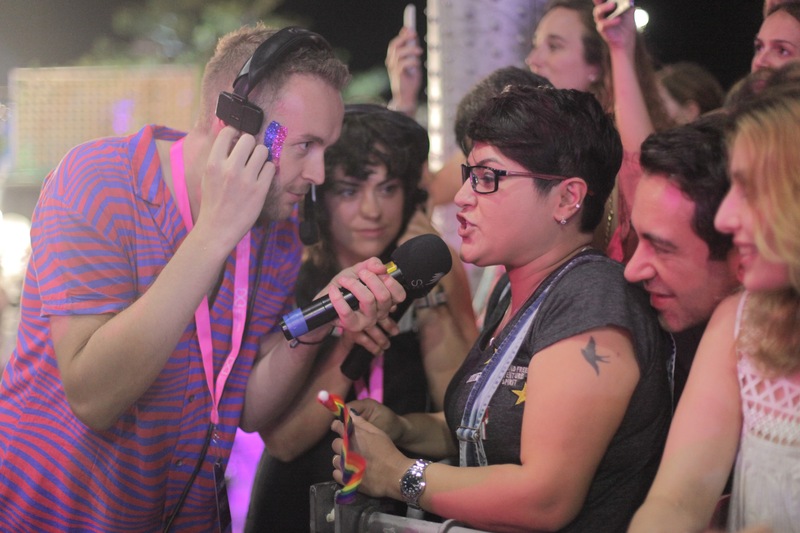 Photos taken by Holly Friedlander Liddicoat. 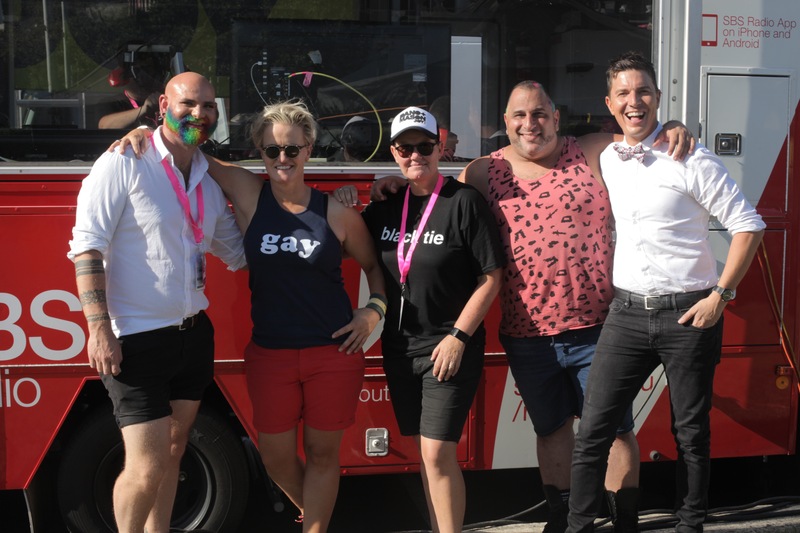 Chris Tait, Dee Mason, Lisa Daniel, Dean Arcuri, Benjamin Norris. Dean Cici, Hunter Smith, Harry Lloyd, David Beckett. 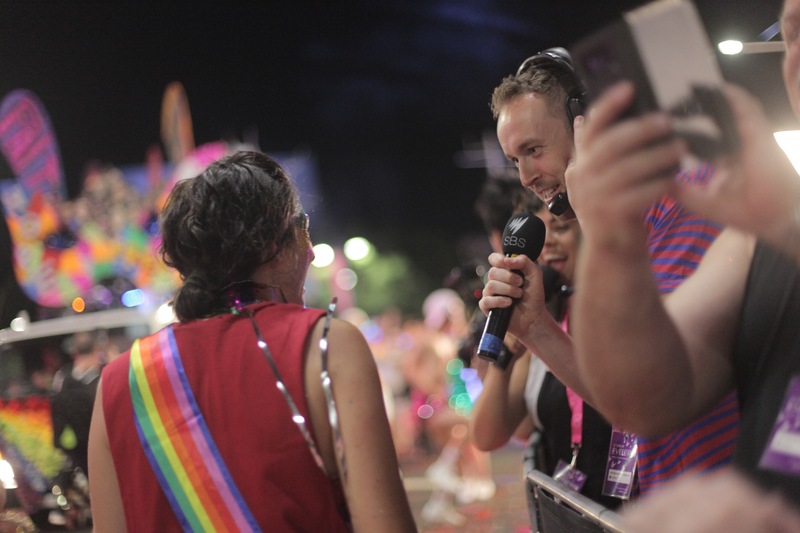 JOY 949 & 2SER are the only community broadcasters to bring you the glitz and glamour live from the parade so don’t miss this opportunity to hear all the fun and excitement in the lead up to and from the Mardi Gras Parade!